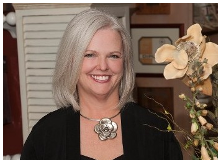 Linda Dickerson, president and owner, is a graduate of the Harrington Institute of Interior Design in Chicago. 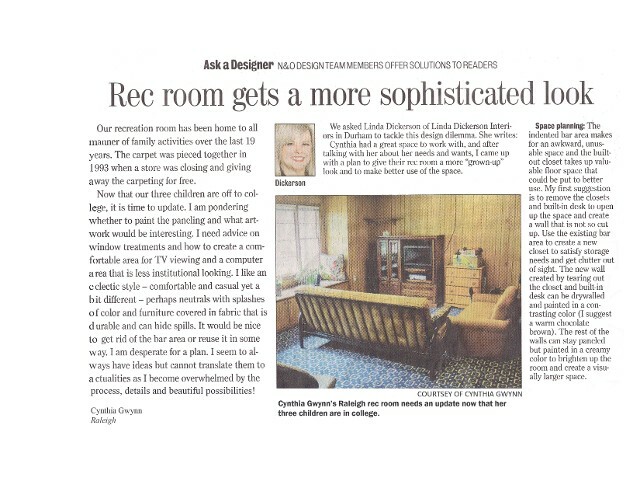 Her work has been featured in Southern Living Magazine and she won the "Better Living Award" for her interior design of the Hope Plantation House in Treyburn. Her work was recently featured in the 2009 book publication, Best of Today's Interior Design by Tina Skinner, published by Schiffer Publishing Ltd. Linda is an Allied Member of the American Society of Interior Designers. She has worked as a designer in the Triangle for 30 years, and has been the president of her own firm since 1991. 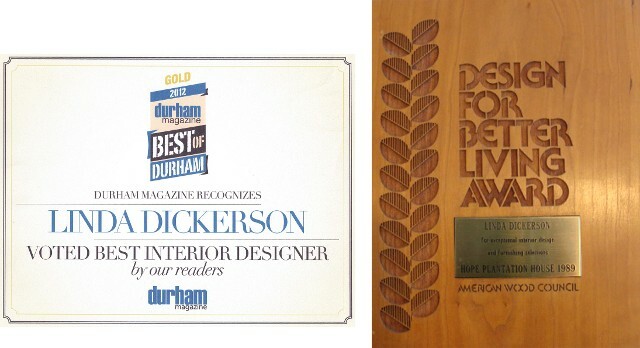 Linda was voted Best Interior Designer by the readers of Durham Magazine in 2012. In additon she was voted Best Interior Designer in 2012 by the readers of the Herald Sun newspaper. She was honored with this same distinction in previous years. 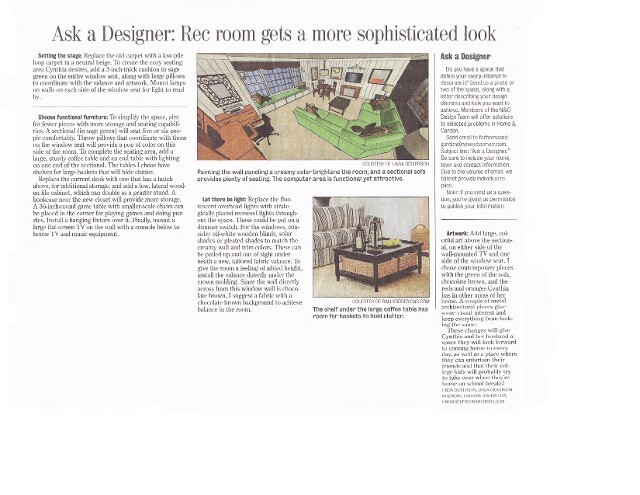 "As an interior designer, it is my objective to make an interior space aesthetically pleasing, functional, safe and at the same time, reflect the customer's lifestyle."